Could we be the “New” Emergency Service? 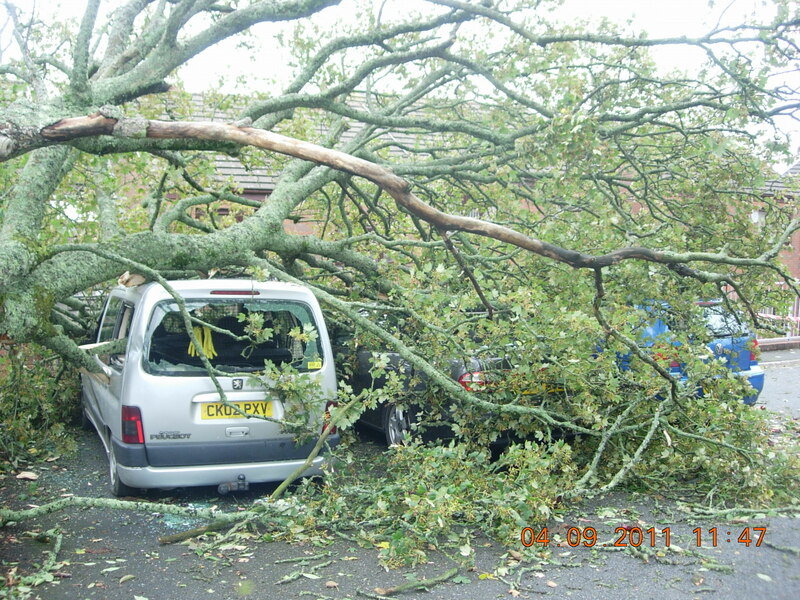 As a tree surgery firm we are often asked to help out in emergency situations and we have even saved a few lives. Ok, so we admit, it’s not quite within the realms of the situations the true emergency services face but “Nessie” among others is very grateful that she’s no longer stuck up a tree!! Yes that’s right, cat rescue is one type of emergency service Branching Out Tree Surgery offers, much to the relief of our feline friends who discover that what goes up doesn’t always come down. The Company has now been contacted on a number of occasions by owners of cats, whom have been a little too adventurous, the most recent being during February in Dunvant. Branching Out Tree Surgery doesn’t just rescue cats though. We also rescue cars!! 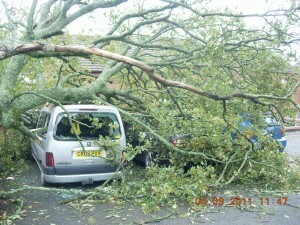 … and sheds, driveways and even houses that have fallen victim to trees that have failed in high winds. When a tree failed in a car parking area last year we carefully uncovered three cars, two of which ended up with hardly a scratch!! So although we wouldn’t call ourselves “super heroes” just yet, at Branching Out Tree Surgery we do provide a “new” emergency service and it involves trees.